This 'richly appointed and generously portrayed' (Kirkus Reviews) debut novel tells the story of a WASPy, old-Boston family coming face to face with an America much larger than the one it was born in. Caroline Dunlap has written off the insular world of the Boston deb parties, golf club luaus, and WASP weddings that she grew up with. But when she reluctantly returns home after her college graduation, she finds that not everything is quite as predictable, or protected, as she had imagined. Her father, the eccentric, puritanical Jack Dunlap, is carrying on stoically after the breakup of his marriage, but he can't stop thinking of Rosita, the family housekeeper he fired almost six months ago. Caroline's little brother, Eliot, is working on a giant papier-mâche diorama of their town-or is he hatching a plan of larger proportions? As the real reason for Rosita's departure is revealed, the novel culminates in a series of events that assault the fragile, sheltered, and arguably obsolete world of the Dunlaps. 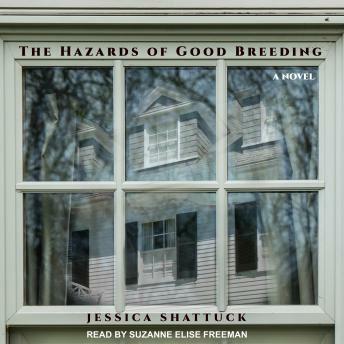 Opening a window into a family's repressed desires and fears, The Hazards of Good Breeding is a startlingly perceptive comedy of manners that heralds a new writer of dazzling talent.